This modern, centrally located, end of terrace, 2 bedroom, eco-friendly, Townhouse was built circa 2011 to a high specification with particular attention to styling and detail and is being sold with a good sized rear garden with independent side access and a bicycle store. Careful consideration has been given to the design of this property, blending modernity with the setting of an historic market town and its heritage buildings. The design of the sleek high-performance windows references the bays of a Victorian town house. The materials have been chosen to reflect the existing architecture and include handmade bricks laid in a traditional monk bond together with Victorian red pavers. Roofs are of natural slate and rainwater pipes are of galvanized steel. Internally, open plan living to the ground floor and vaulted ceilings to the first floor contribute to an overall feeling of light and spacious accommodation. An open porch leads to the front door which opens to an open plan living room/kitchen/dining room. The living area is positioned to the front of the property and features a raised, squared bay window giving views to Spital Road and recessed spotlighting and oak flooring extends from here to the kitchen/dining area. A stylish, contemporary Italian kitchen in white high gloss design with Corian work-surfaces includes an integral fridge/freezer, electric fan oven and electric hob and there is further space for a slimline dishwasher. The kitchen area features a floor to ceiling window, has a door providing access to the garden and from here a door opens to a ground floor cloakroom and utility room. The ground floor cloakroom/utility room is fitted with a modern white suite comprised of a wash hand basin, toilet and a fitted mirror. 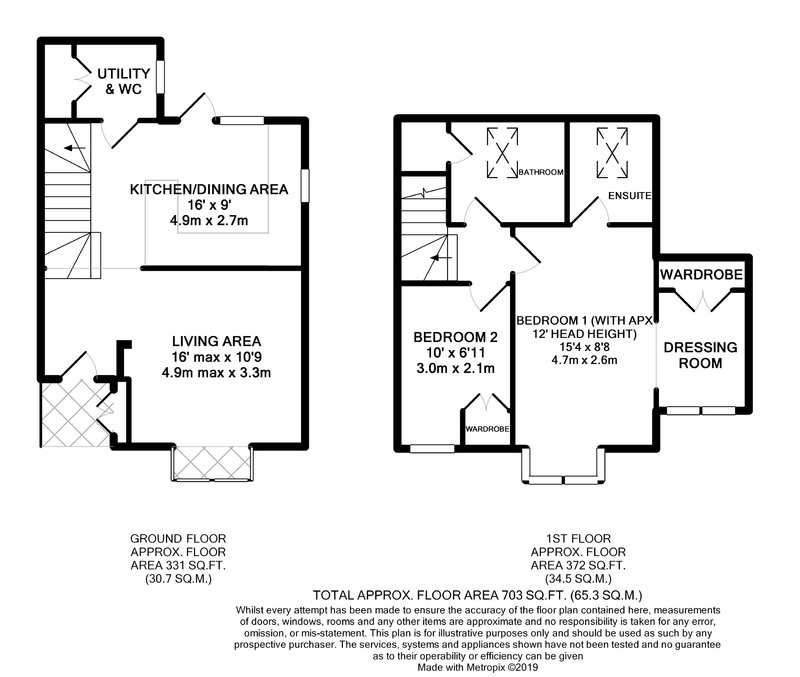 This space has a tiled floor and surrounds and from here double doors open to a utility cupboard where there is space and plumbing for a washing machine, a wall mounted Worcester gas fired boiler and a pressurised hot water cylinder. Upstairs the main bathroom features a vaulted ceiling with Velux window inset and is fitted with a luxury white suite comprised of a bath with retractable hand-held shower attachment, wash hand basin, toilet and tiled floor and walls. There are fitted vanity units with mirrored doors and a useful eaves storage cupboard. The master bedroom also features an impressive vaulted ceiling extending to 15ft (TBV) and a walk-in squared bay window with obscured glazing at the lower level giving views over Western Road. Unique to this property is a large opening to a dressing area with fitted double wardrobes and floor to ceiling obscured double glazed windows to the front. The master bedroom en-suite also features a vaulted ceiling with Velux roof window inset and is comprised of a modern shower enclosure with rain style shower head, glass screen door, wash hand basin with storage cupboards below, WC, and fitted mirror. Bedroom 2 has a vaulted ceiling, a window to the front giving views over Western Road, a fitted double wardrobe and recessed spotlighting. The rear garden is paved, enclosed by fenced and walled borders, has double gates giving side access and offers bicycle storage. Agents notes; GCH. Modern upright radiators throughout. Double glazing throughout. Solar panels. 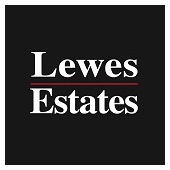 We have been advised that this property is being sold with free membership to Lewes Car Club offering owners the opportunity to be less dependent on a private car. We have been advised that a car club parking bay is situated within the immediate vicinity of Meridian Row. See www.commonwheels.org.uk Nestled within the South Downs National Park, Lewes is the County Town of East Sussex and Lewes mainline railway station offers a fast train service to London Victoria (approximately. 1hr 10 minutes). The coastal, business and entertainment city of Brighton & Hove is some 8 miles distant. Lewes has an excellent range of amenities including an array of restaurants and recreational facilities.